Gluten free porridge, pasta and ‘slim rice’ preview! Wow, I know everyone always says this, but time really has flown by the past few weeks, so apologies for the distinct lack of posting recently! In between putting out a weekly paper, writing the latest wedding magazine and preparing a talk on my trip to Uganda, I’ve also been busy training with PT Steve, and as such have barely had a chance to sit down! But, I’ve got some great goodies to review for you and plenty of ideas I’m itching to try out in the kitchen! I’ve now booked a holiday to Portugal in April, so the final countdown to get fit is on and I’m upping the training to really try get beach ready! Oh, and if anyone knows of any great gluten free places in Albufeira, Portugal….please let me know! So, short and sweet, this is a bit of an apology post really, to say sorry for the lack of posts, and let you know there’s plenty more on it’s way. 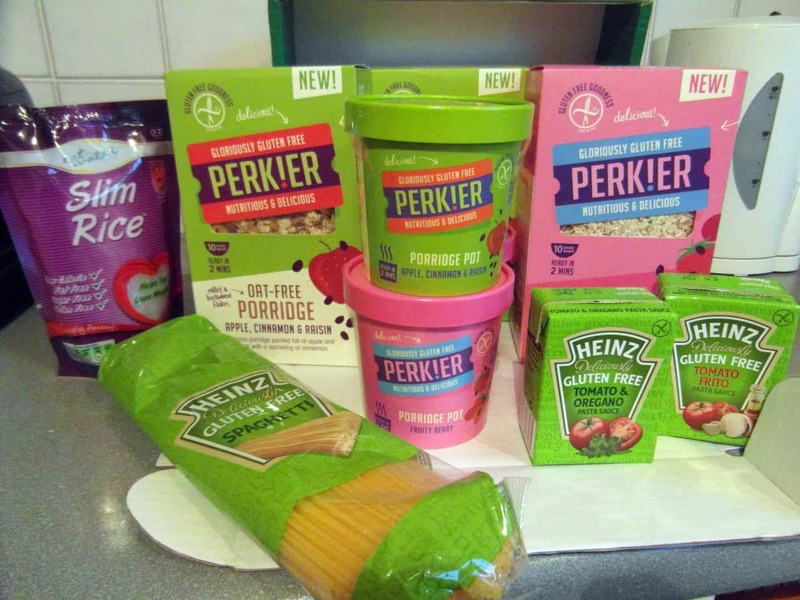 I’ll be posting some reviews very soon, on the exciting new range of gluten free pasta and pasta sauces from Heinz and some amazing looking gluten free porridges from Perk!er. I’ve also been sent some ‘Slim Rice’ – a product I am intrigued to try, so will let you know how that goes! So keep your eyes peeled, and thank you all for being so patient – more blogs to follow very, very soon!